Pack 1491 is a large, 100+ family pack. We are self-chartered and hold our pack meetings at Dolvin Elementary School in Johns Creek, GA. While most of our boys attend Dolvin Elementary, we welcome any first through fifth grade boy in our area to join our program. We are family led. 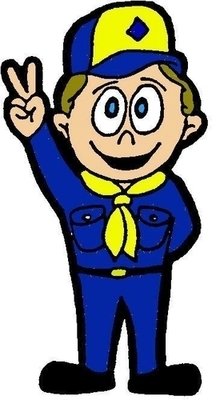 As such, each parent or adult partner in Pack 1491 is expected to volunteer to ensure a quality program for the boys and participating families. Pack 1491 is a very active, outdoor pack and we participate in three family campouts each year as well as a year-end trip. We engage in other fun activities including annual favorites like the Pinewood Derby, Cake Auction and Rain Gutter Regatta. 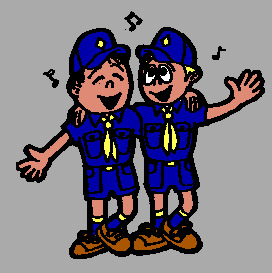 Our boys also participate in traditional Cub Scout den activities, day trips and community service projects. How to check out. Click on the "Buy Now" button below to add 1 Annual Dues to your shopping cart. When ready to check out, click on the shopping cart icon at the top right hand corner of the screen to complete the check out process. Payment Plan-Prior Approval Required. For families who have requested and received approval for this option, Pack 1491 offers a payment plan of five (5) monthly installments. If you are interested in the payment plan, please contact the Pack 1491 Cubmaster or Treasurer for pre-authorization. The Boy Scouts of America offers a financial scholarship plan for families whose financial circumstances could prevent their son from participating in Scouts. 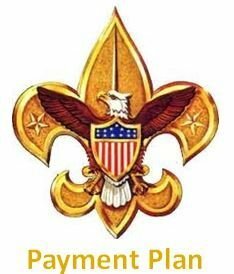 If you are interested in the BSA program, please contact the Pack 1491 Cubmaster for additional information.